In this tutorial, I will take you through the process of realistic texturing your objects and models in Blender realistically. Many renderings you may find around might just have the necessary geometry detailing, good lighting, and rendering, however, the texturing makes the whole results unrealistic and not appealing to the eyes. To create realistically textured objects, at least, you need a certain type of textures all extracted from your main texture you want to apply. So, if you are planning of texturing a table, you probably will go in for a wood texture. It is out of this wood texture you will generate the other types of textures you will need to create the realistic-illusion in your renders. Unfortunately, for Linux users (such as those on Ubuntu), using software like Crazy Bump, are hard to come by as they’re only for Windows PCs. I personally tried running Crazy Bump in Wine but failed since there were dependencies like .NET Framework and DirectX that was required. Though I’ve worked hard and read wide on how to get mine .NET and Direct X embeds on Ubuntu to work, it proved futile. 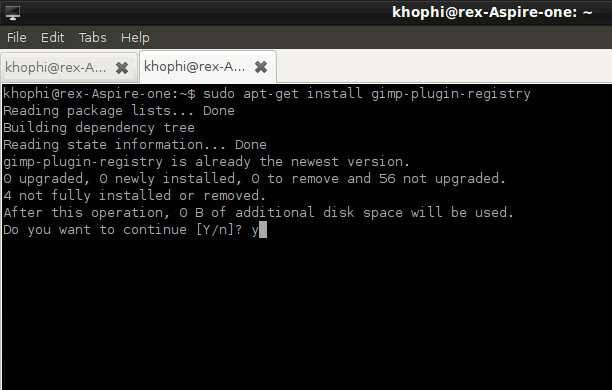 Thus if you are a Linux user, and OK with using GIMP, you should find this tutorial very handy and timely. GIMP is a photo-editing software similar to Photoshop from Adobe. In this tutorial, I will teach you how to create a texturing looking similar to what you see below. The first part will touch on how to create the generated textures you will need in GIMP and the second part will explain how to feed that information into Blender. If you are unfamiliar with the use of GIMP, you’re right to visit the official website and learn for yourself. There are plenty of tutorials out there too. Creating a specularity texture in Blender happens to be very easy to do (perhaps easier than CrazyBump). I got something similar to the image below using the Threshold under the Color menu. To create a Normal Map Texture in Blender, please, you will have to do some terminal typing. Don’t freak out. I will tell you what to type, and the process is simple and straightforward. In the image below, because I have my Gimp Plugin Registry already installed, I wouldn’t do that once again. However, you should confirm by typing in ‘Yes’. A whole bunch of options will available for your use including the ‘Fx-Foundry’ and ‘Script-Fu’ menus with many options. However, we are not going close to any of these. Click on Filter >> Map >> NormalMap. 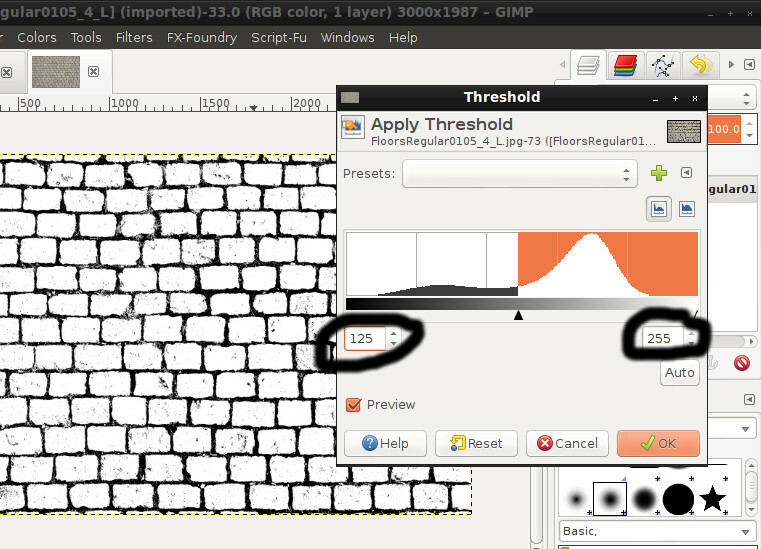 Without installing the plugin registry for GIMP, you won’t see the Normal Map option. See image below to check out my settings for the normal map. The trick for creating the displacement texture in GIMP isn’t perfect for use now, though it works to some extent nicely. Displacement texture should affect the z-displacement of the texture and should give a bit of depth to what’s being worked on. I went about creating my Displacement Texture the hard way this time round. 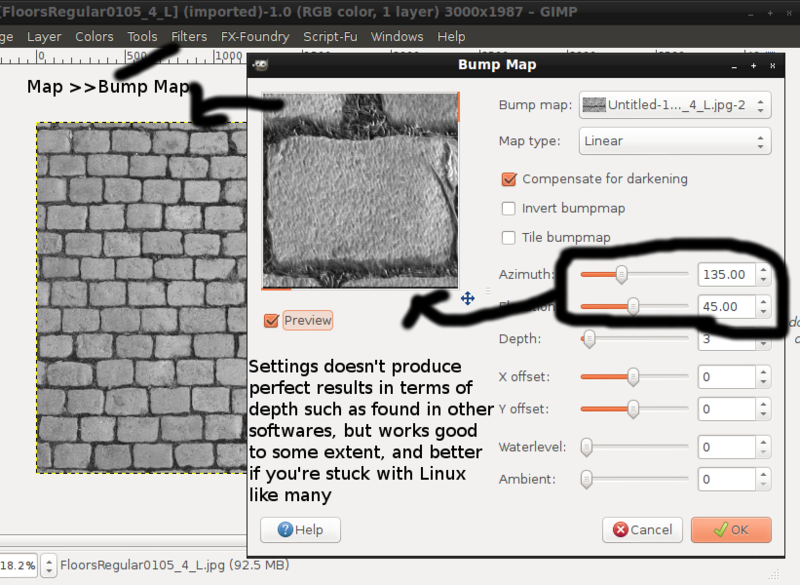 Locate the BumpMap option (Filter >> Map >> Bump Map) and tweak the Azimuth and other options till it matches your taste. Achieving your Specularity, Diffuse, and Occlusion textures are all possible by very manual try and error means, as compared to CrazyBumps’ well-defined settings. Settings for achieving the right spec in one material might be different from another. These are only my observations. 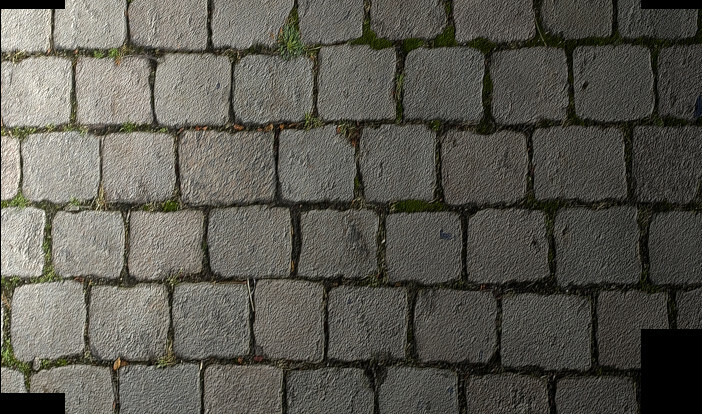 I am ready to learn new ways of going about accomplishing generating textures easily. Will love to hear them. 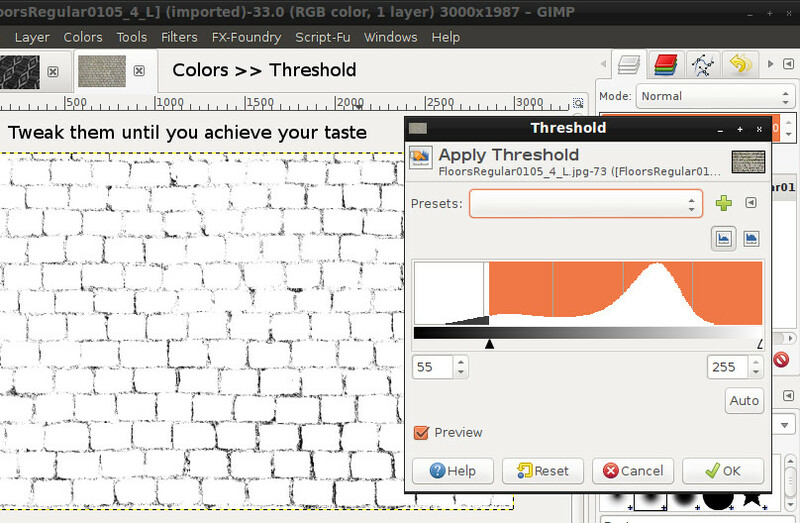 Thanks for following this Tutorial, The Secrets of Realistic Texturing – The GIMP Way. Visit blenderguru.com for a tutorial on how to feed this info into the blender. Andrew Price has done a perfect tutorial on that.